Code Ling, a UI/UX designer of SerCle App, also a front-end developer, is now working in a Software Company in Puxi, Shanghai. He Enjoys a wonderful life, go to the gym, listen to electronic music and surfer on the Internet, on Dribbble, Behance, Pinterest, Youtube, etc. Also, he likes to go for communities like OverstackFlow and SegmentFault for inspiration. Code Ling claims himself as a typical designer of Pragmatism, who values the actual function of a product, as well as be in fashion and user-friendly. He has plenty plants and two parrots in accompany. Praying for a world with No War. In this UXer Talk, we are honored to have Code ling, the designer of SerCle App, to share his own experience and his insightful views of design. 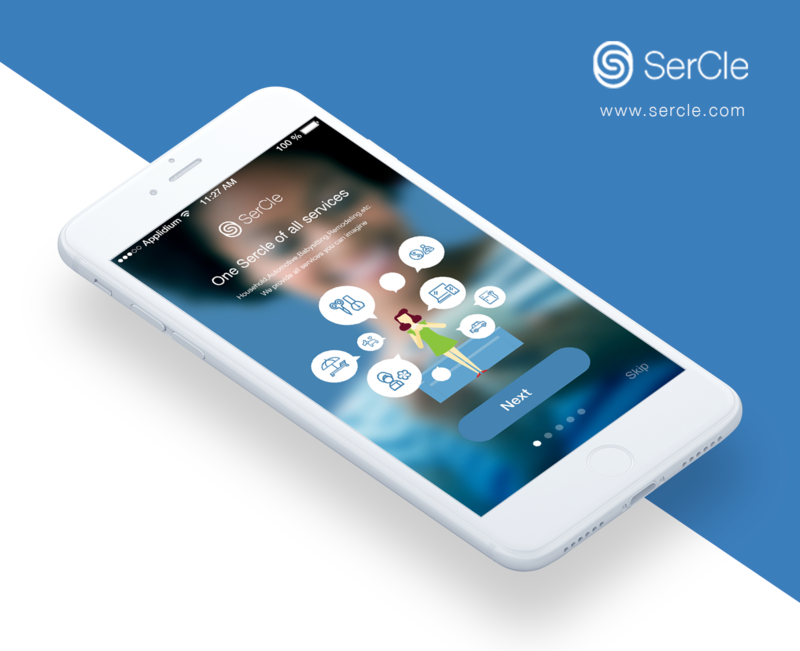 SerCle is a Life Service APP swept over North America. It’s kinda similar to the DianPIng.com in China. That is, each service provider will receive rating and evaluation from consumers. The massive amounts of data can provide a great references and recommendations for more users. But the service providers active in SerCle are mainly of small scale. Besides, due to the lifestyle in American, SerCle is mainly used for online booking orders. As we all know, life service App is frequently used in daily life, so the user experience is much more important. As a native Chinese designer, how does Ling manage the lifestyle of Americans successfully? Ling: "SerCle is an American native project that I have been involved in in 2015. 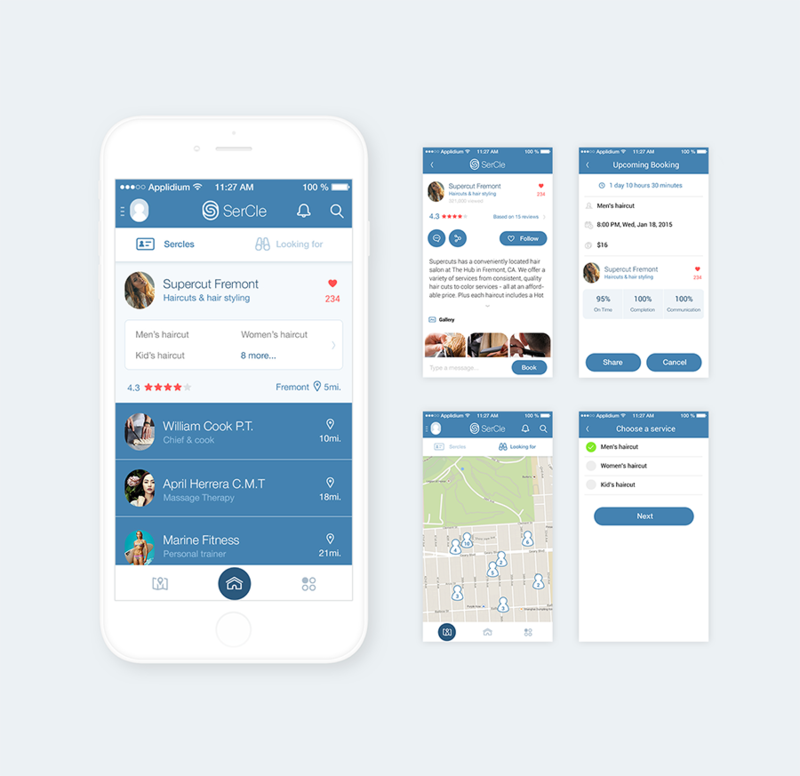 It is a life service App. Users can book a variety of services on it, like, haircut, plumbing, babysitting, etc. Almost everything related to life service. Likewise, service providers can publish their services on it. " In America, Facebook is every where, and Americans usually log in an app or a site via Facebook. In America, the most widely used life service website is Yelp, but in Ling’s experience, DianPing.com offers better user experience. D: "Do you have a reference in your mind? or were you planning to make it a great App before you get started with SerCle?" Ling: "yes, DianPing.com gives me lots of inspiration, especially the booking process part.I personal favorite is the interface of “quality concessions”column, which provides a classified section for quick navigation, and then subdivides into the classification of the recommendation. The bottom of the list is simple and clean. In addition, the color scheme is wise, the dark gray really matches with yellow, very elegant and advanced. The Greek pottery also adopt this color scheme "
For a life service App, the biggest challenge is the availability to users. But the real situation is more complicated. Ling has encountered a lot of difficulties associated with usability. Ling: "exactly." It is of great importance to ensure the availability of a product or a prototype. Any product, if not fit in under a real scene, all the wonderful creation or new ideas of it is in vain. It is no wonder that designers and product managers are so concerned about the usability test. Ling is very satisfied with the great convenience that SerCle brings to people. Indeed, inspiration doesn’t happen out of thin air, you can only spark it by real experience. Ling suggests younger designers learn from the great works on Dribble, Pinterest and Behance, this can be a big help. As a designer, Ling believes that What’s Suitable Is The Best Design. D: "What kind of design do you think can be a good design? Ling: "Good design must be applicable and easy to use, while excellent design should be of practical use and good-looking both. This is also what I pursue. For example, the bicycle sharing system, they have mobike and ofo,I think mobike is more applicable than ofo. You just need to scan the QR code,then a mobike can automatically unlock, besides, you just need to close the lock after use, no other additional operation on the phone (such as click the "end of the trip"). Ofo is much more complex, you need to manually enter the code, sometimes need rotate to set the code, this can be really annoying. D: "How is the importance of a tool to a designer? By the way, which design tool are you using now?" Mockplus: Professional Rapid Prototyping Tool Support multi users working on the same project. You can Comment and mark up the project easily. Various review ways, supports export HTML, pics and tress. Over 3000 components, With a simple drag-and-drop, you can build interactive prototypes effortlessly. D: "If any chance you could work with more foreign employers, will you take it? Wha do you think of Chinese designers going to the world?"